The material presented in this textbook will not require the need for prior knowledge of chemistry, biology, or statistics to be understood, rather, it will provide sufficient related background information leading to a competency to clearly understand ecotoxicology concepts and topics. Introduction To Ecotoxicology. What is Ecotoxicology? Basic Chemistry for Ecotoxicologists. What Are Some Ways That Contaminants Affect Animals and Plants. Major Groups of Contaminants – Where They Come From, What They Can Do. Metals and Metalloids. Currently Used Pesticides. Polycyclic Aromatic Hydrocarbons. Polychlorinated Biphenyls, Polybrominated Compounds, Dioxins and Furans. Mostly Phased Out but Persistent Chlorinated Pesticides. Other Contaminants. Higher Level Effects, Analysis of Risk, And Regulation of Chemicals. Studying the Effects of Contaminants Above the Organism Level. Human Populations and Contaminants. Risk Analysis and Assessment. Domestic and Global Regulation of Environmentally Important Chemicals. Future Perspectives and Concluding Remarks. Index. Dr. Donald Sparling's career has been a mixture of college level teaching and government service. After receiving his Ph.D. in biology he taught wildlife management courses at Southern Illinois University and biology at Ball State University. In 1982 he started a career in the U.S. Department of the Interior, first as a statistician and then as a research wildlife biologist. There he conducted research on the effects of contaminants on wildlife with publications on acid deposition, munitions, pesticides, metals, polycyclic aromatic hydrocarbons, polychlorinated biphenyls and polybrominated diphenyl ethers. Animal models he and his students have used include amphibians, turtles, mallards, quail, doves, invertebrates and others. He left the government in 2004 to resume teaching various courses including Ecotoxicology and to continue research at Southern Illinois University, Carbondale. Although he retired from that position in 2015 he continues to teach online courses at Holy Apostles College and Seminary and to write books in the ecological sciences. Dr. Sparling has over 100 scientific publications and 6 books to his credit. "This textbook covers the fundamental concepts of environmental toxicology in an engaging and informative way. 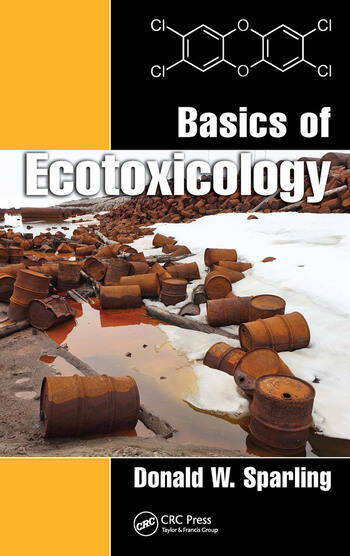 Taking the reader on a journey through the history of toxicology through emerging contaminants of concern this book, Basics of Ecotoxicology is an excellent resource for students and instructors." "Finally, a textbook geared toward underclassmen just beginning a study in environmental science or multiple majors related to ecotoxicology. The most readable and approachable textbook for budding ecotoxicologist. 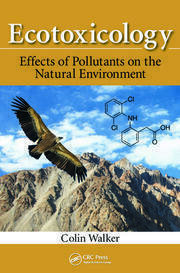 Overall, an excellent textbook as an introduction to ecotoxicology." 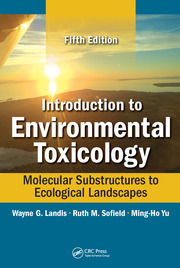 "This book is perfect for students who start in the field of ecotoxicology, because it serves to refresh chemistry concepts that are necessary to understand the mechanisms that govern environmental pollutants on Earth; but at the same time goes deeper into some major topics that allow the reader to better understand the role of ecotoxicologists in our lives." "This is an ecotoxicology book that has been carefully constructed to serve general users, including non-science majors and beginning science majors as well as the general public. The text is clearly written for an easy basic understanding of the field of ecotoxicology. At the same time, the book provides a comprehensive introduction, including a basic review of the chemistry and terminology necessary for an understanding of ecotoxicology. 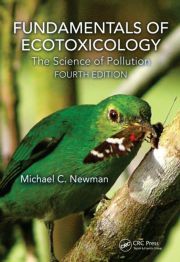 The book offers an easy to understand preview to many of the topics found in more advanced ecotoxicology books, so that a student who decides to go further in the field can make an easy transition." "With a suitable introduction to a comprehensive summary, each chapter individually and in a collated manner is highly suitable for undergraduates and postgraduates to understand the toxicology of the materials to the ecosystem, their risks, and the regulations to use them."